9 Must-Have Smartphone Accessories You Wouldn't Want to Live Without! Have you ever found out a life hack and wondered how you survived without it? Well, we're hoping this list will have a similar impact. We've included 9 must-have phone accessories that have been personal lifesavers. Our choices focus on the most popular mobile phone brands. Okay, so everyone knows that mobile phone cases are a necessity, but it's easy to assume your phone will be fine. However, unprotected phones are like a ticking time bomb - they don't last long. This is why you should consider a mobile phone screen protector for iPhones in particular; they tend to be extremely fragile, making this a must-have smartphone accessory! 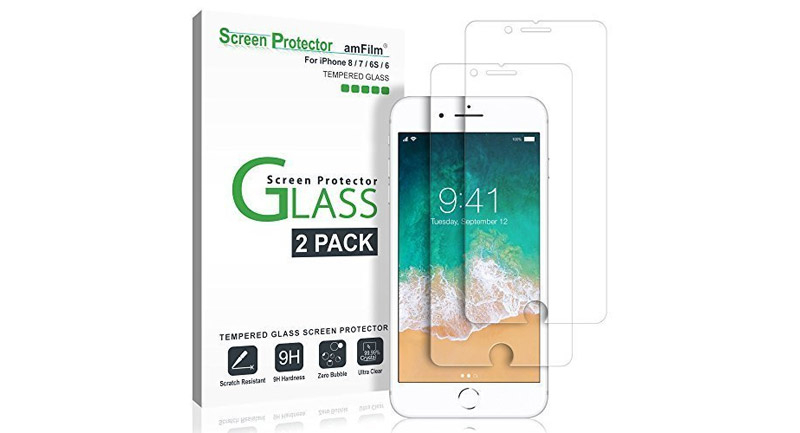 The glass amFilm protector is a good choice as it keeps your phone free from scratches and absorbs the first wave of impact. Yet, the material does not obstruct your smartphone's touch features. What's more, it's nearly half the price of a screen protector from the Apple store! When you buy a brand-new iPhone directly from Apple, you also receive headphones in the package. If you are buying a refurbished or pre-owned phone from alternative stores, you will need to check whether this accessory is included. If not, you want to consider buying this essential. We particularly recommend buying a Bluetooth headset - no more tangled wires in your handbag or pocket! It's always useful to have an iPhone eject tool. A must-have smartphone accessory, many people opt for attaching this tiny accessory to their keyrings for quick accessibility. These accessories are used for ejecting your SIM card, enabling you to regularly clean your SIM card or replace it when necessary. The tool can also be used to reset the phone to its original manufactured settings before resale or if your phone has a malfunction. At first, a wireless mobile phone charger sounded like a luxury and nearly didn't make the list. Yet, technology is ever moving forward and wireless charging devices have become a big hit. Considering the flood of positive reviews, we couldn't disregard the wireless charger as a must-have mobile phone accessory. We recommend choosing a slim or pocket-sized charging device as these tend to be the most practical. Trust us: try this and it will remain on your essentials list! Drivers tend to agree, a mobile phone car mount is of paramount importance - particularly if you have moved beyond the sat nav! A car mount helps you easily use your phone for directions, change music and make calls (though we wouldn't advise doing the last one until you've stopped the car!). We understand the frustration of low signal. However, a mobile phone signal booster is multifunctional and can even be used on holiday. Heading up to the Lake District to a romantic cabin for two? Stay connected to signal for emergencies with this life-saving, must-have mobile phone accessory! If you own a Huawei mobile phone or are considering buying one, we have two words for you: great choice! Of course, there are a few accessories to make your incredible phone even better. The following three suggestions are our personal favourites. Is your phone in good condition but in endless need of a good old charge? It might be time to replace your battery. Invest in a new battery to give your phone a new beginning. OnBuy's virtual shelves showcase a full range of Huawei mobile phone batteries. Armbands are essential for every athletic individual, sports fanatic and January gym goers. Athletic apparel used to be suitable for phones. However, these days, mobile phones are too big to go in a trouser pocket (at least for women), hence the need for armbands. 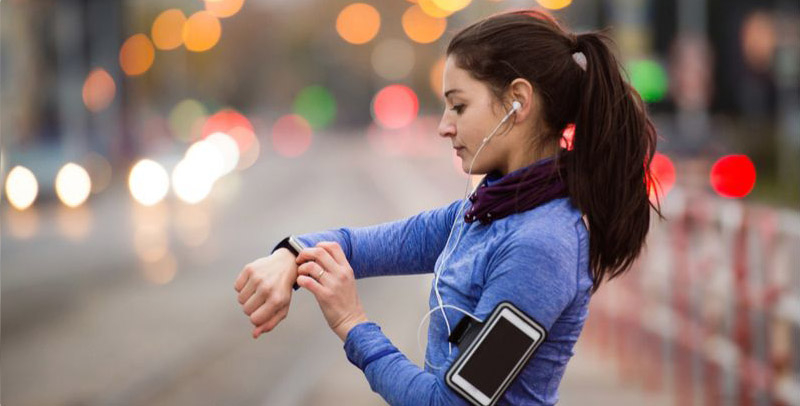 When choosing the right mobile phone armband accessory, you could opt for one that accommodates space for all of your things (keys, money, gym pass etc.). Alternatively, you can go with the lightweight option which provides a transparent touch-through window for easy access to your phone. 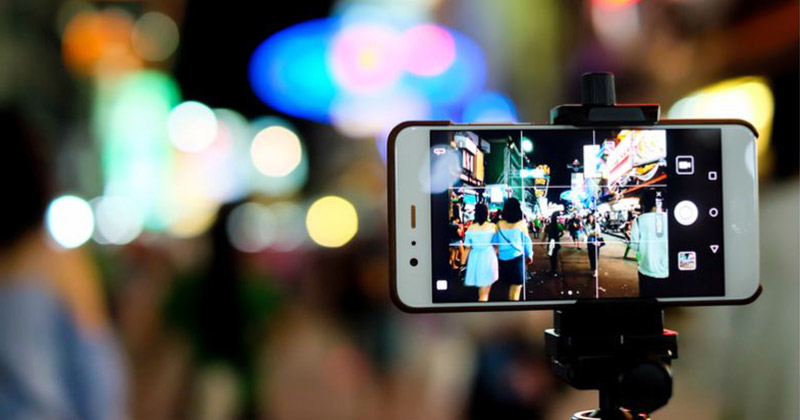 Whether you take photos for fun, are a professional mobile photographer or a social media wizard, a mini tripod is a must-have smartphone accessory! The Huawei smartphones are known for their high-functioning cameras, but you're selling yourself short if the phone isn't stable. Why have a great camera phone if you only take blurry photographs? Whether you choose a mini tripod or selfie stick, stability is key for the photographer. Yes, we said selfie stick. Be a tourist and your Instagram feed will appreciate it. Trust us! If you aren't a fan of selfie sticks, we recommend a multi-functioning tripod instead. Hopefully these mobile accessories have been useful. We included a life hack accessory for everyone, no matter whether you live in the city or reside in England's rural countryside, drive or take the commuter train. One final piece of advice: when you decide to upgrade your phone, it's worth considering buying your phone outright. One less contract can make all the difference to your monthly budget and saves you a tremendous amount of the overall cost! If you know any must-have smartphone accessories that we've missed from the list, please feel free to get in touch or add your suggestions in the comments below!